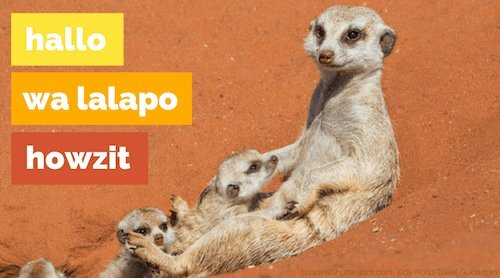 These facts about Namibia were chosen and researched to provide more insights into this beautiful country and tell you some amazing facts you probably did not know. Namibia is a country on the Atlantic coast in southern Africa. Namibia shares borders with Angola to the north, with Zambia and Botswana to the east and with South Africa to the south and south east. 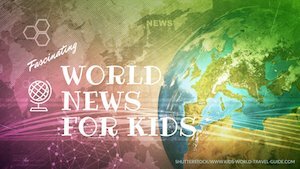 The country is the second least densely populated country in the world - after Mongolia. With a population of just over 2 million inhabitants living on an area twice the size of California/USA, the country has vast areas dominated by deserts and bushland. 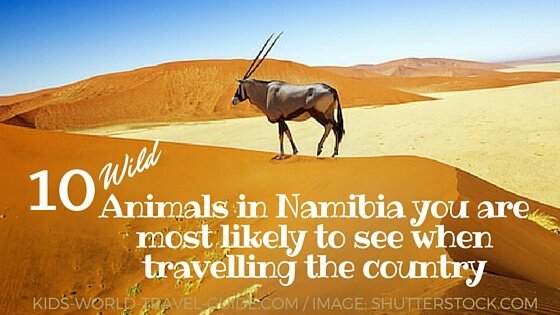 Namibia for Kids: Namibia is roughly half the size of Alaska or double the size of California! The country’s name Namibia originates from the desert which is known as the Namib desert - the oldest desert in the world. Namibian activist and former politician Mburumba Kerina named the country ‘Republic of Namib’ which then became Namibia or Republic of Namibia. 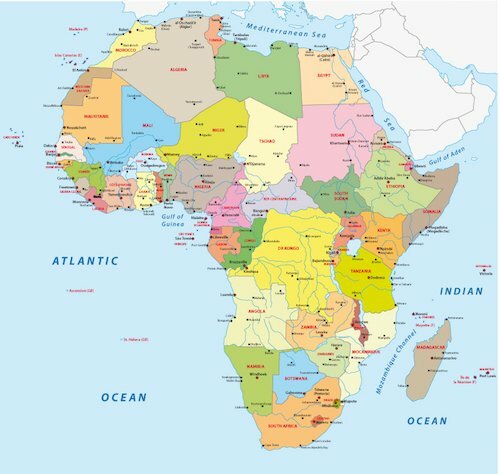 The country also was known as German South-West Africa or in German 'Südwestafrika'. From 1884 - 1915 it was a colony of the German Empire. 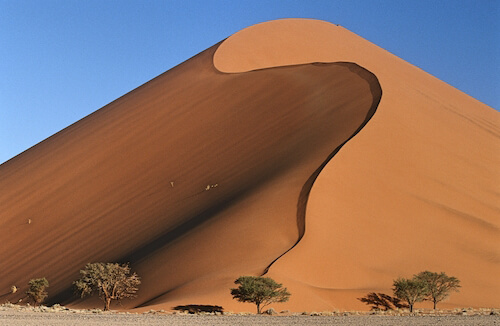 The oldest desert in the world is the Namib desert. The Namib is a coastal desert with huge dunes along the Atlantic Ocean and thus stretching along of the western part of Namibia. The name gives it away, ‘namib’ means vast place and a vast place it is! 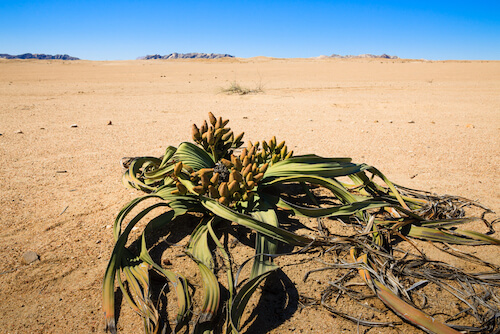 In the Namib desert, there is a tough plant that can live over 1,000 years: The Welwitschia. This plant is referred to as a living fossil. The Welwitschia can grow with the little water it gets from the night’s dew or coastal fog through its two foliage leaves that can grow over 4 meters/13 ft. in length. The plant is called Welwitchia mirabilis, the wonderful Welwitchia! Fun Fact: Did you know that the Namibian rugby team’s nickname is Welwitchias? 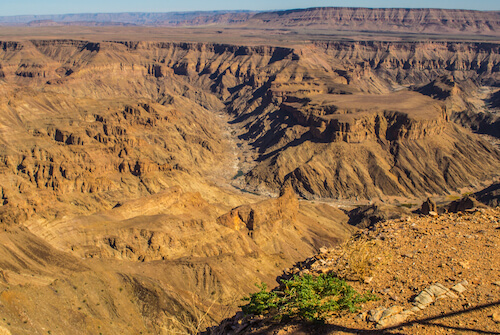 Namibia’s Fish River Canyon is the largest canyon in the southern hemisphere and the second largest canyon in the world - after the Grand Canyon. Fish River Canyon is popular for its superb hiking and is the second biggest tourist attraction in the country. The 85 km/53 miles hike along the gorge, takes 4 - 5 days and is really only for the very fit. There are only two exit routes from the gorge and hikers have to carry everything with them, as there are no facilities in the canyon. The canyon is 160 km/99 miles long, 27 km/17 miles wide and at its deepest point 550 metres/1,800 ft. deep. One of the most popular attractions on the African continent and the most popular tourist attraction in Namibia is the Etosha National Park in the north of the country. Every second tourist to Namibia visits this part of the country to view game and birdlife at this national park. Etosha is famous for its large salt pan that can be seen from space! Actually, Etosha means ’great white place' in the Ovambo language. 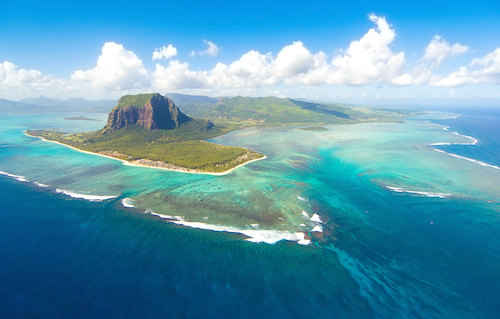 The pan formed about 100 million years ago and and covers large parts of the national park. 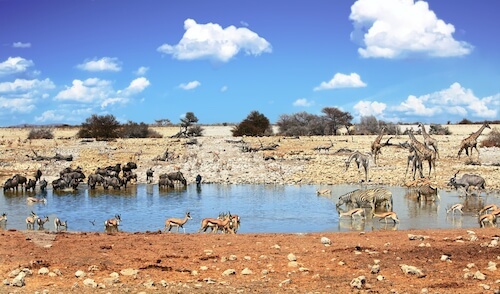 In Etosha wildlife is abundant and animals can be seen around the many waterholes. There are of course: elephants, giraffes, antelopes and lions, but also the rarer black rhinos and leopards can be spotted. More than 340 bird species live in the park. Facts about Namibia: Diamonds galore! Namibia has the largest deposits of marine diamonds in the world. A new diamond rush will make Namibia’s coastline the centre of exploitation. Diamonds are said to be ‘scattered in the seabed just like lost change’. In 2016, mining companies extracted diamonds with huge vacuum hoses from the sea floor. These diamonds were worth more than 600 million US$. Only about 3% of the Namibian seafloor has been explored so far. 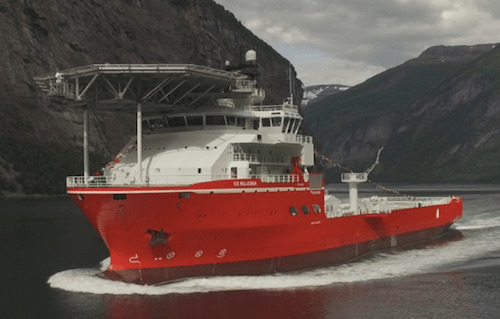 In 2017, DeBeers, the largest diamond producer, has launched the world’s biggest diamond exploration ship. This vessel will harvest more than 1.2 million carats of diamonds every year! Most diamonds found are 1-2 carats, this means about 1 million diamonds have to be found! A diamond of 7 carat as was recently found is very rare and would cost between US$100,000 and 1 million US$, depending on quality. Facts about Namibia: The largest underground lake in the world can be found in Namibia. The entry to the lake is through Dragon’s Breath Cave near Grootfontein in northern Namibia. The lake is around 100m (330ft) beneath the ground and only rarely climbers and divers explore the cave as the access to the underground lake is difficult. 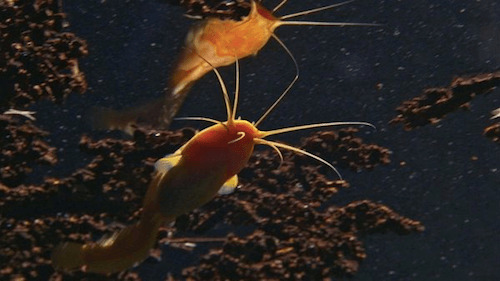 Only White Shrimps and worms live in the crystal-clear water of the lake and Golden Cave Catfish which only live here. Last but not least of our facts about Namibia: The southern African country is also know for the largest harvest of table grapes and one of the biggest wine growing areas in the southern hemisphere. 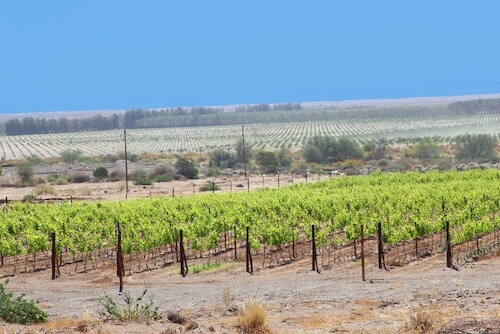 The climate in the region along the Orange River in the south of the country is ideal for growing grapes. The dry desert climate is good for the vines as it rarely rains and the climate is hot so less pests can survive the heat and destroy the plants. However, the heat and dust is hard for the farmers and helpers working in the vineyards.